Want the ultimate? For an additional $400 over the EL-34 equipped DiaLogue Four, you will get an amplifier that has more power, better bass authority, and a little more air on top, but never edgy. Further improvements are realized from new driver and phase splitter circuitry. The result is no need for any negative feedback. This means even more natural tonality and better overall musicality. 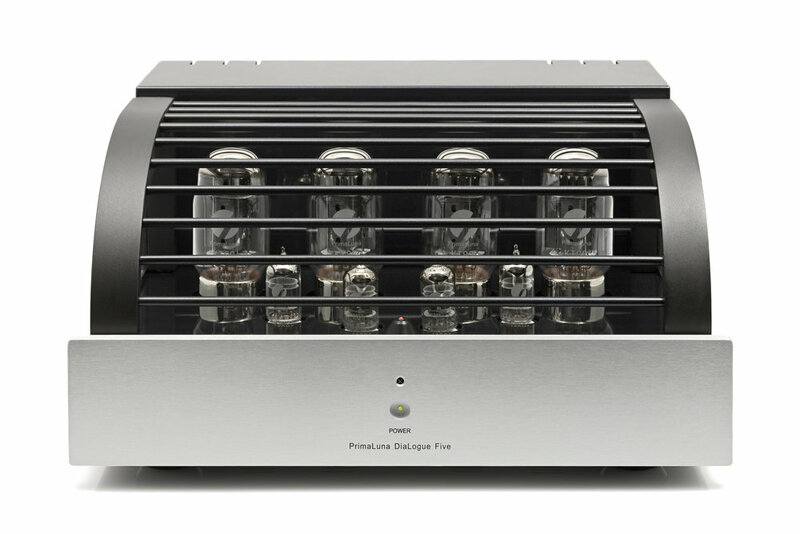 The DiaLogue Five delivers 42 watts per channel in ultralinear, 21 watts in triode. Upgraded Solen capacitors made in France. The result is an even better midband and wonderful clarity. Fast Recovery Diodes. Resulting in increased definition and detail, especially when the music becomes complex. KT88 Output Tubes. We use the current production copy of the legendary Genalex KT88. 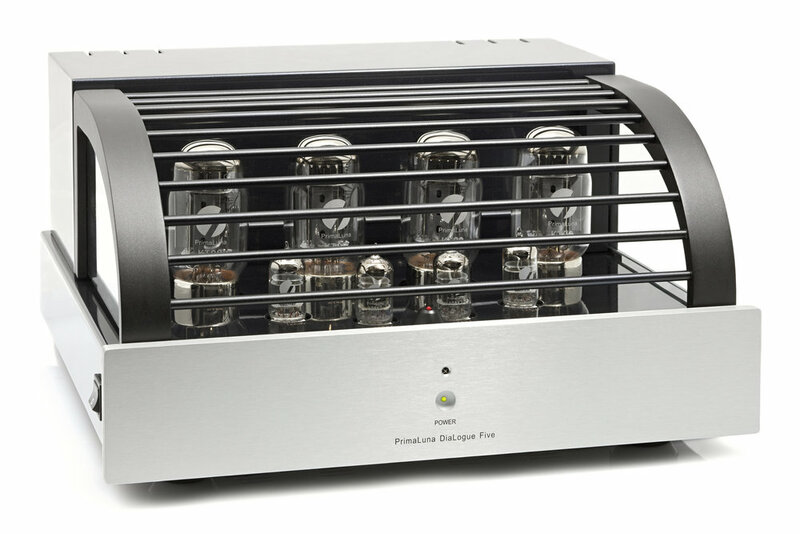 The tube sounds wonderful, with tremendous body and punch, while still giving you the warmth and humanity you'd expect from an all-tube amplifier. The DiaLogue Five starts with the same basic topology as the award-winning DiaLogue Two integrated amplifier. But further improvements are realized from new driver and phase splitter circuitry. The result is no need for any negative feedback. This means even more natural tonality and better overall musicality. Tube plate fuse Protects the amplifier output stage. Adaptive AutoBias. Exclusive to PrimaLuna, this circuit monitors and adjusts bias automatically. Improved performance and better sound, with distortion reduced by 40% to 50% over conventional designs. Like to experiment? Plug in virtually any power tube. Adaptive AutoBias will automatically adjust itself! In addition to EL-34s, you can use 6550, KT88, KT90, 6L6GC, KT66, 7581, EL37, and any of their equivalents. Triode/Ultralinear switching. Allows you to switch how the power tubes operate on the fly, via a slim aluminum remote, allowing you to stay in your nice comfy seat while switching between the two modes. Improved output transformers designed for wide-bandwidth and high efficiency. 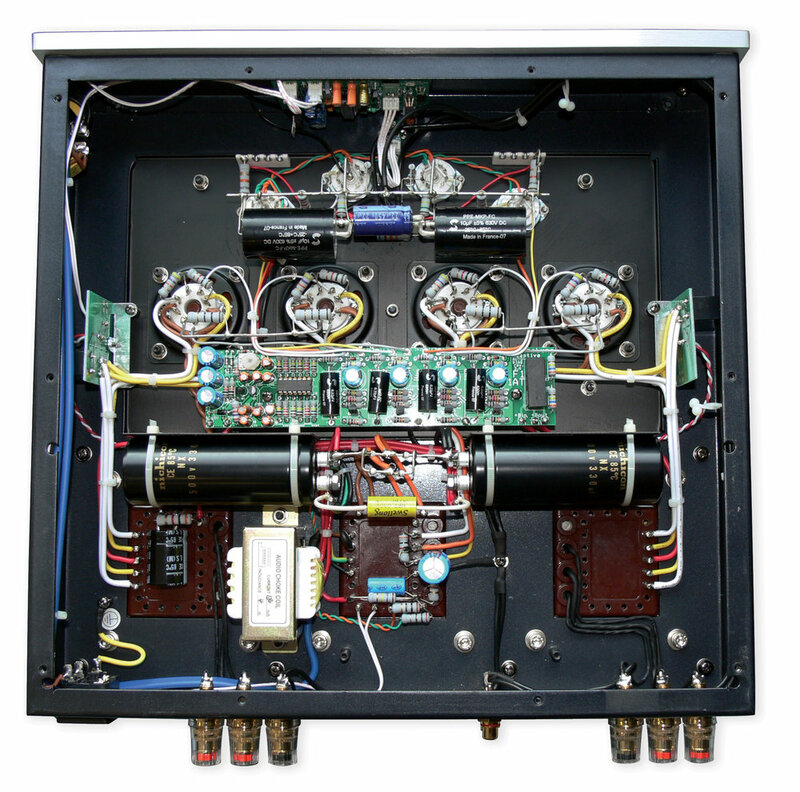 These heavy-duty transformers elicit incredible detail from top to bottom, lower the output impedance, and provide the amp with greater control over speakers with difficult loads. Zero negative feedback makes for a more lifelike clarity and natural tonality. Dimensions (WxHxD) 15.2" x 8.3 " x 16"